New photos from The Good Doctor’s Oct. 16 episodes have just been released today from ABC. 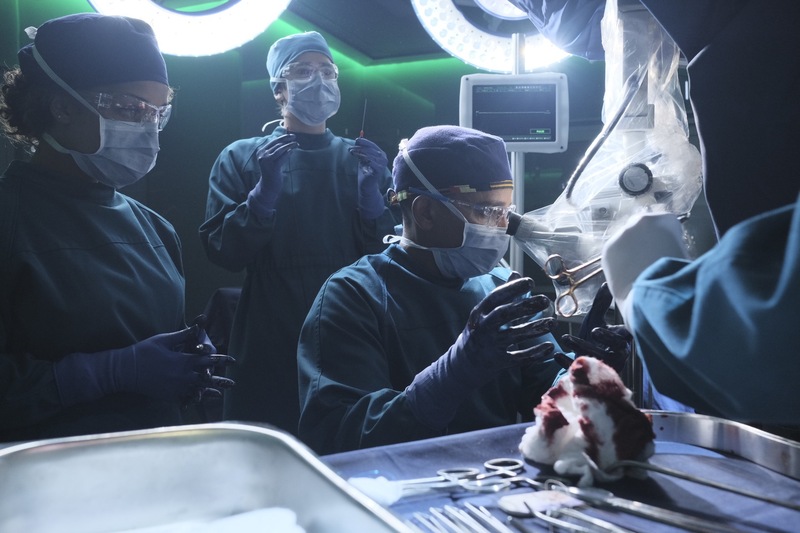 Titled “Pipes” the episode will see Dr. Neil Melendez and the team wading through legal waters when a husband and wife have to make a life-changing decision about their unborn child. Meanwhile, Dr. Shaun Murphy struggles to adjust to his new environment at home and makes a huge step forward with his colleagues. The Good Doctor is from Sony Pictures Television and ABC Studios, and is written and executive produced by David Shore. Daniel Dae Kim, David Kim and Sebastian Lee are also executive producers. “Pipes” was written by Thomas L. Moran and directed by Stephen DePaul. The “Pipes” episode of The Good Doctor airs Monday, October 16 (10:01-11:00 p.m. EDT), on ABC. Follow @ScreenSpy on Twitter | ScreenSpy on Facebook for more Good Doc. scoop this season. THE GOOD DOCTOR Episode 1.04 "Pipes"